This evening, River Plate will play the most important match in their 110 year history when they face Belgrano de Cordoba in a relegation playoff. It is almost unthinkable that one of the world’s most famous clubs could be playing in the Argentine second division next season. However, as a Torino fan, I’m certainly aware that having an illustrious history does not guarantee continuous success, as demonstrated by the fact that despite having seven Serie A titles to their name, Torino currently find themselves in the second tier of Italian football. However, it is not just their recent decline that links these two historic football clubs, but instead it is tale of friendship that began in the 1940s, and continues to the present day. In 1949, ‘Il Grande Torino’ were regarded as one of the best teams in world football, as they were on the verge of winning their fourth consecutive Serie A title. However, whilst returning from a friendly match against Benfica in Lisbon, disaster struck. In poor weather conditions, the plane that the team and officials were travelling on crashed into the Basilica of Superga near Turin. There were no survivors. Upon hearing the news of the tragedy, River Plate president Antonio Vespucio Liberti decided that his team should go to Italy in order to show solidarity with Torino, with the idea that a match between the two teams could also raise money for the victim’s families. Therefore, just 22 days after the tragedy on May 26 1949, River Plate played a friendly against a team representing the symbol of Torino, made up of a selection of the best players in the Italian league, the match finished 2-2. Despite being over sixty years since Superga, River Plate and Torino still maintain a close affiliation, with Torino fans appreciative of River’s role in the healing process that was necessary after the disaster. In the Torino Museum in Grugliasco, a current River Plate shirt can be found, thus showing that the match between the two teams is still regarded as a significant fixture in the clubs history. The fact that Torino’s current away kit echoes the traditional diagonal sash shirt made famous by River Plate, is another way in which the affiliation continues in the present day. With River Plate being 2-0 down from the first leg of the relegation playoff, their quest to maintain their Primera División status does seem to be an ominous one. However, as a Torino fan thankful of Antonio Vespucio Liberti’s gesture of solidarity in Torino’s hour of need, I hope River manage to get the victory they need tonight. In what will undoubtedly be a busy summer for new players, Torino have made Varese striker Osarimen 'Giulio' Ebagua their first summer signing. After their failure to reach the Serie B playoffs, Torino will be looking to build a squad that is capable of achieving a return to Serie A in the forthcoming campaign, under their new coach Giampiero Ventura. The signing of Ebagua certainly seems to be a positive one, and whilst he cannot be described as being a prolific goal scorer throughout his career, he scored 12 goals from 28 games to help newly promoted Varese to an impressive 4th place finish last season. At just 25 years old, there is also plenty of room for improvement for a player who was been described by his former Varese coach, Giuseppe Sannino as being ‘self-sacrificing’ as well as being a ‘born fighter’, which are characteristics Torino have lacked in their team in recent seasons. By completing his transfer to Torino, Ebagua is returning to the club that he began his career at, as he was in the youth set up at Toro, before being released in 2005 due to the clubs financial difficulties. The Nigerian born striker is not the only player who has gone on to have a successful career after being released by Torino in 2005. Federico Marchetti, Robert Acqafresca and Fabio Quagliarella were all released under similar circumstances, and it certainly makes one wonder where Torino would be today had they not gone bankrupt in 2005. Torino have had to pay Varese a significant sum of 1.2 million euros in order to sign Ebagua on a Co-Ownership deal, and young defender Gaetano Carrieri has moved in the opposite direction as part of the transfer. The purchase of Giulio Ebagua increases the likelihood that Torino’s captain and talisman Rolando Bianchi will be departing, with a number of Serie A clubs interested in the former Manchester City striker. In just six years as Torino President Urbano Cairo has overseen the appointment of a remarkable fourteen coaches, with former Bari boss Giampiero Ventura the latest man to be appointed as Torino coach. After Torino’s failure to reach the Serie B playoffs, the departure of previous coach Franco Lerda was inevitable, and after a week of speculation, including former Foggia coach Zdenek Zemen being linked, it is Ventura who has been entrusted with the task to get Torino back into Serie A. 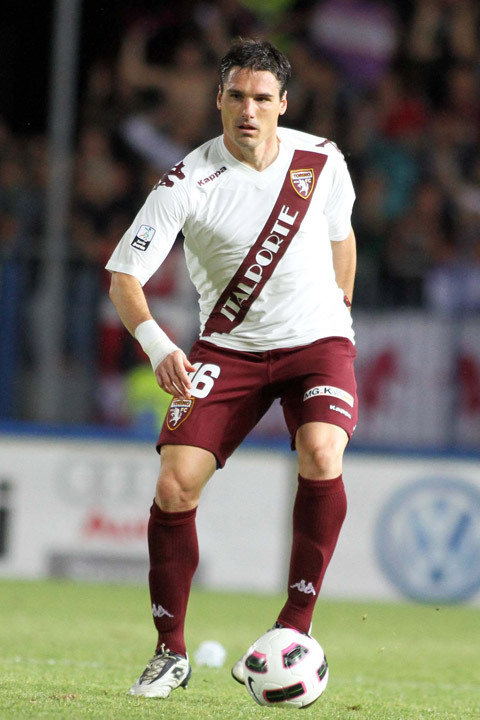 However, the fact the experienced coach has only been given an initial one year contract does not suggest a willingness on Urbano Cairo’s part to embark on a long term project that Torino so desperately need. Young Torino defender Angelo Ogbonna has been called up by Italy coach Cesare Prandelli for the friendly match against the Republic of Ireland on Tuesday, after Alberto Aquilani was injured in the Azzuri's 3-0 victory over Estonia in Modena last night. Whilst the match against Giovanni Trapattoni's Irish side is only a friendly, and Ogbonna is by no means guaranteed to gain his first cap in the match, it certainly shows that Prandelli thinks highly of a player who has only played 23 Serie A games in his career, with many of those coming as a substitute. In a season of disappointment for Torino, the continued emergence of Ogbonna has been a positive, as the vice captain was arguably Toro's best player this season, and is expected to make a big money move to a Serie A club after Torino's failure to gain promotion.